Being overweight, according to a story in the Marin Independent Journal recently, can be the worst carcinogen. The condition, proclaims the article by Dr. Salvatore Iaquinta, surgeon at Kaiser Permanente San Rafael, "greatly increases a person's chance of getting cancer." A woman "50 pounds overweight," he continues, "has a greater risk of developing breast cancer than a soldier who was exposed to Agent Orange during the Vietnam War devoting prostate cancer." 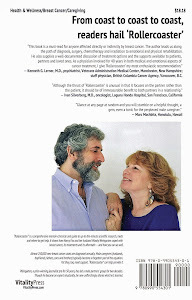 Iaquinta, who writes a regular column under the rubric "Highway to Health" and who is the author of the book, "The Year They Tried to Kill Me," cites as the source for his belief a recent review in the "British Medical Journal." He notes that the authors had checked out more than 200 studies before determining their findings. "Some of the associations between weight and cancer were gender specific," Iaquinta reports — such as breast cancer in postmenopausal women as well as cancer of the uterus lining. Or colon and gallbladder cancers in men. Other cancers "with increased risk related to body mass index," he indicates, include cancers of the kidney, stomach and pancreas as well as esophageal adenocarcinoma and multiple myeloma. One of the doctor's main conclusions is that "rather than spending so much time and money to circumvent potential chemical exposures, we should be focusing our energy into staying in shape." 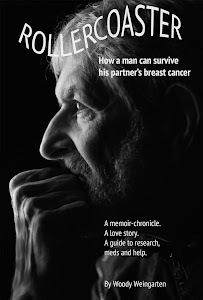 Details of other tests on the risks of contracting cancer can be found in "Rollercoaster: How a man can survive his partner's breast cancer," a VitalityPress book I, Woody Weingarten, aimed at male caregivers.